Kuala Lumpur: WWF expresses its profound concern over China’s recent announcement that it has legalised the use of tiger bone and rhino horn from captive bred animals by hospitals, and domestic trade in antique tiger and rhino products. “It is deeply concerning that China has reversed its 25-year old tiger bone and rhino horn ban, allowing a trade that will have devastating consequences globally,” said Margaret Kinnaird, WWF Wildlife Practice Leader. “Trade in tiger bone and rhino horn was banned in 1993. The resumption of a legal market for these products is an enormous setback to efforts to protect tigers and rhinos in the wild." 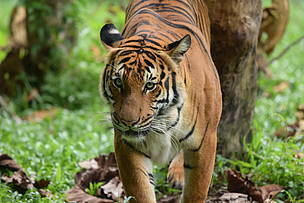 In Malaysia, poaching driven by the illegal wildlife trade has and is still the most critical threat to Malayan tigers. “We cannot afford to lose any more Malayan tigers. Legalising domestic trade of tiger bone in China will stimulate demand and likely intensify the snaring and poaching of wild tigers and other wildlife in Malaysia, which is already at a crisis level,” said Dr Mark Rayan Darmaraj, Tiger Landscape Lead of WWF-Malaysia. The high demand for tiger parts has likely increased illegal poaching through the use of snare traps in Malaysia’s forests. In July this year, six Vietnamese poachers believed to be a part of an illegal network and targeting mainly wild tigers were arrested. There are currently only as few as 250 – 240 Malayan tigers left in the wild, down from an estimated 3,000 back in the 1950s. “With wild tiger and rhino populations at such low levels and facing numerous threats, legalised trade in their parts is simply too great a gamble for China to take. This decision seems to contradict the leadership China has shown recently in tackling the illegal wildlife trade, including the closure of their domestic ivory market, a game changer for elephants warmly welcomed by the global community,” Kinnaird added.